Thanks to Diane on Twitter (@Accounts4_UK) for suggesting this topic. She wanted to know about medicinal and culinary mushrooms as she hasn’t had the courage to forage for mushrooms. She has been wise. Mushrooms come in different shapes and sizes and different varieties, it takes a trained eye to identify a particular mushroom with precision. Even experts get it wrong – I remember being told about some Japanese mushroom experts who went to America and harvested some mushrooms which were identical to the ones they had at home, they returned, cooked them up and ate them only to discover that they were fatal!! This is how difficult the identification of mushrooms can be!! While some common mushrooms are safe to eat, some others are extremely toxic and can be fatal to eat. I will mention some edible British mushrooms but please ensure you are 100% on ID before eating them. 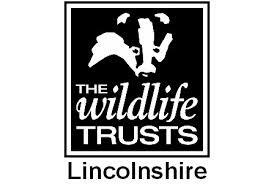 I am a committee member for the Lincolnshire Wildlife Trust (Grimsby and Cleethorpes Group) and I have been informed by our mushroom expert that even he doesn’t dare to eat them!! Therefore the task of picking mushroom for consumption should be left to the experienced or those trained in the agrarian field. It is otherwise an impossible task for an ordinary person to tell what type of mushroom a particular piece is. Considering the possible repercussions of eating a poisonous piece of mushroom, it is wise to cook only mushrooms sourced from an expert. Don’t experiment with mushrooms–the price may be your life. The lethal effects of some mushrooms may not manifest itself for several weeks. You may feel good weeks after ingestion to find that your kidneys have failed and you will die without hope of a remedy. Although I am a herbalist, my specialism has been plants. I was taught about several medicinal mushrooms but wasn’t taught about identification as the ones I was taught about are not native to Britain but to China, Japan and the USA. Although we may not think of mushrooms as herbs, over 38,000 species of mushrooms have been discovered to have medicinal uses and they have been valued as both food and medicine for thousands of years. In Japan, street vendors still sell medicinal mushrooms to maintain health and promote longevity and mushroom experts have been known to travel hundreds of miles in order to collect mushrooms as they are renown for resolving cancer and many other degenerative diseases. They are especially seen as tonics to our immune system. There is a misconception that mushrooms contain little nutritional value!! They are a low calorie food source but they are surprisingly high in nutrients. Five little button mushrooms contain more potassium than an orange! Mushrooms contain antioxidants and are high in polysaccharides which have been found to contribute to their anti-cancer activities. When you think about tree bracket fungi they are effectively concentrating the unique elements that the tree has absorbed over the years. Most edible and medicinal mushrooms help to rejuvenate our immunity and improve the condition of our blood, skin and joints. I would recommend that mushrooms are purchased from supermarkets, health food stores or in capsulated form to ensure safety. When they are introduced to the diet on a regular basis then they can help to support your health and wellbeing. Once they have been taken for a few months that your immunity will improve, your will find yourself able to concentrate more, your memory will improve and also the condition of your skin, hair and nails. Did you know that mushrooms are environmentally friendly? 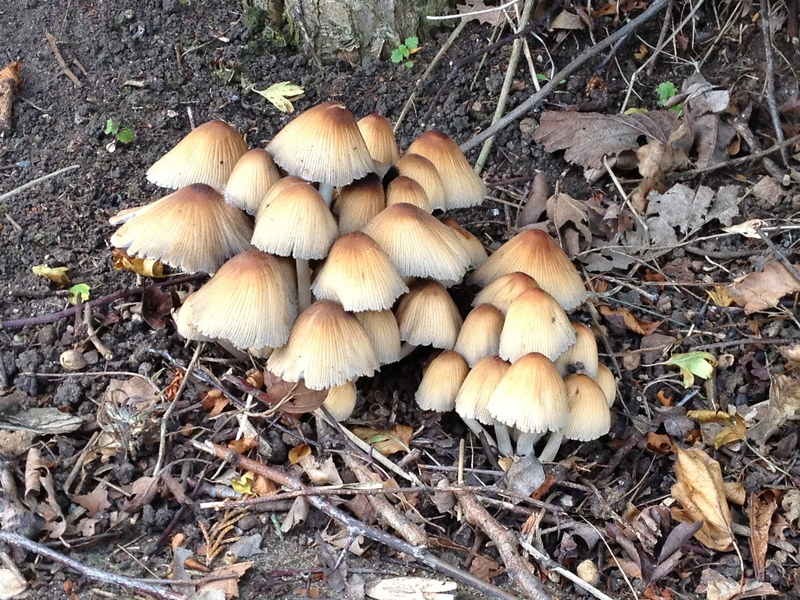 Without fungi our woodlands would be piled high with leaf litter!! They make their food from the decay of other plant matter and without them our world would be full of health hazards. 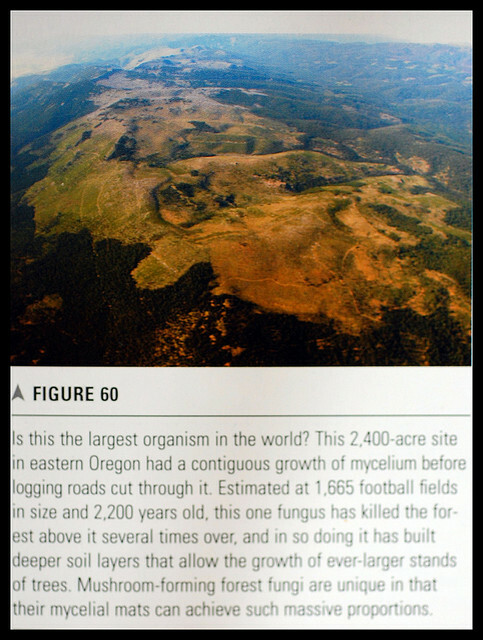 Did you also know that the largest organism in the planet is a mushroom? What we see popping up from the ground is only the reproductive body of the mushroom – the rest of its body is called a mycelium tract and is either underground or inside decaying matter. anti-bacterial, anti-parasitic, antifungal, detoxification, hepatoprotective (supporting the liver) and anti-diabetic effects. When it comes to modern scientific research several mushroom polysaccharides have proceeded to further clinical trials and are used extensively and successfully as drugs in Asia to resolve various cancer and other diseases. This mushroom is seen as a longevity tonic within Traditional Chinese Medicine. It is also used in cancer treatment. It helps to improve vitality, strength and stamina and to prolong life. Reishi enhances immune response, alleviates chemotherapy side effects such as nausea and kidney damage and protects cellular DNA by raising antioxidant capacity. Scientific studies have shown that the Reishi mushroom has properties that contribute to the healing of tumours, lowering of blood sugar and cholesterol levels. When tested on an animals (boo hiss to animal research), Reishi was found to work just like the Shiitake mushroom in preventing cancer cells from multiplying. It is though that the mushroom inhibits the formation of a blood supply to the tumour essentially cutting the tumours food supply and preventing it from growing further. 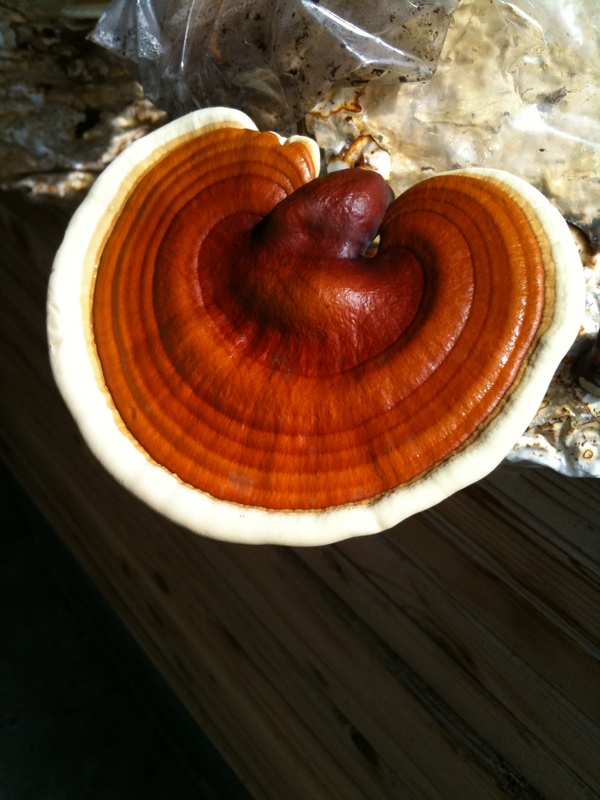 Reishi is also considered an important, natural, anti-viral agent which also helps to regulate the cardiovascular system helping people with chronic fatigue, rheumatoid arthritis and diabetes. This is used in TCM to enhance the immune system and is a major part of Japanese cooking. It helps to boost the innate immune response as well as the adaptive immune response within the body. It is high in antioxidants which protects cells within the body and is deemed as an anti-inflammatory agent. Inflammation is seen in most cancers. 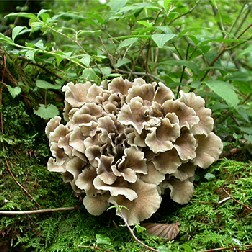 The Maitake mushroom is rich in polysaccharides which improves immunity. Trials have found that this mushroom also helps to reduce blood pressure, regulate blood sugar and also cholesterol levels. Maitake can increase insulin sensitivity and also reduce insulin resistance making it great for people with Type 2 diabetes. It is also seen as an effective weight loss agent when consumed regularly. There are 3000 species of mushroom within the British Isles and roughly 20 are poisonous – that isn’t to say that there are more which contain toxin elements which won’t make you feel ill. Diarrhoea and sickness are common symptoms of mushroom toxicity. Each poisonous species resembles up to 6 edible species, so the key is to get a good field guide and only harvest one if it fits with all of the characteristics including season, colour, spores, etc. Only gather young mushrooms but ensure that they have all of their characteristics, when harvesting twist the mushroom gently to ensure that it can crop again next year and do not harvest when it is raining as mushrooms can soak up a lot of water. 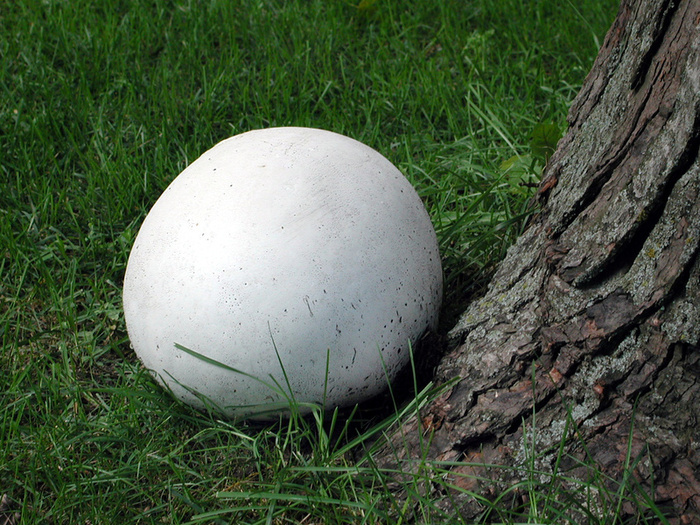 The only edible mushroom which I am happy identifying is the puffball. It looks a lot like an egg and can vary from the size of a large turnip to a large 30cm ruler. It is white and spherical, its outer layer is smooth and white when young turning to a greenish yellow and breaking up when mature. The inner layer is white when young and is firm to the touch like cheese. They should only be eaten when they are white all the way through. When the are fully mature they live up to their name and puff out spores when touched by a passing animal or curious child. My daughter loved to do this when we were out on autumn walks. They are delicious eaten when young and should only be harvested in this way. They can be sliced and fried in butter or covered in egg and breaded. 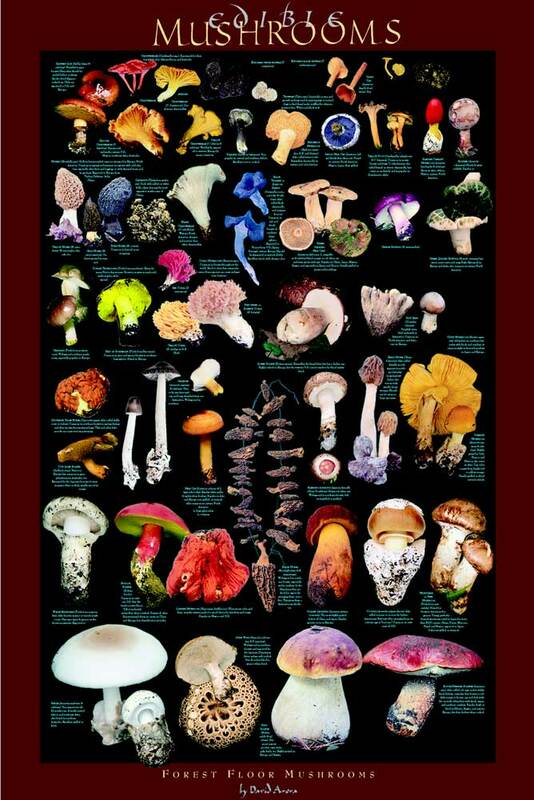 There are numerous other delicious edible mushrooms: anise caps, blewits, ceps, chanterelles, common mushrooms, honey fungus, Jew’s ear, morels, oyster mushrooms, beefsteak fungus, parasol mushroom, saffron milk cap and St George’s mushroom to name but a few. If you are a mushroom expert and live in the Grimsby or Cleethorpes area would you like to meet up some time and discuss correct identification? This entry was posted in biochemistry, Brain health, Complementary and Alternative Medicine, diet, grow your own, health, Health and Wellbeing, Herbal Medicine, herbal remedies, how to, mushrooms, nature, Taste by Herbs for Health and Wellbeing. Bookmark the permalink. you’re even remotely interested, feel free to send me an email. Hi there, I have sent you an email. Thank you for commenting on my article.